The SNES is Nintendo’s second programmable home console, following the Nintendo Entertainment System (NES). 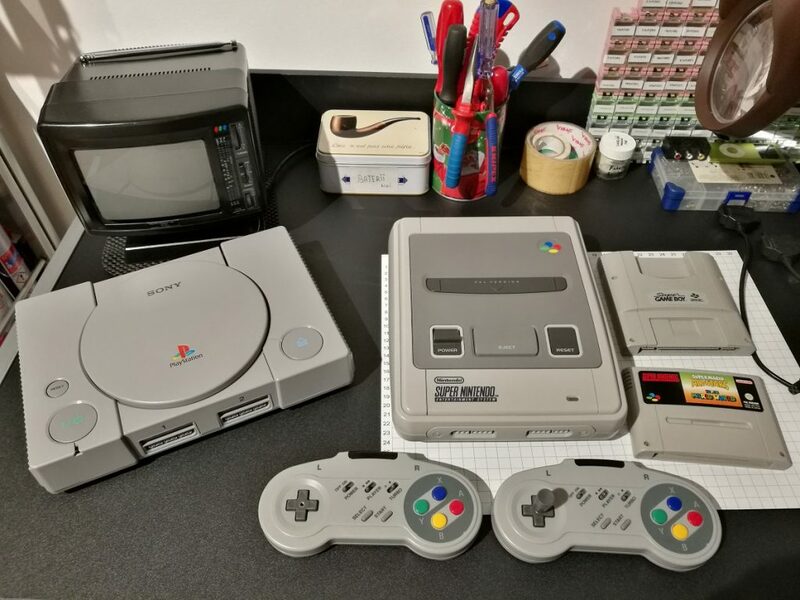 The console introduced advanced graphics and sound capabilities compared with other systems at the time. The development of a variety of enhancement chips integrated in game cartridges helped to keep it competitive in the marketplace. 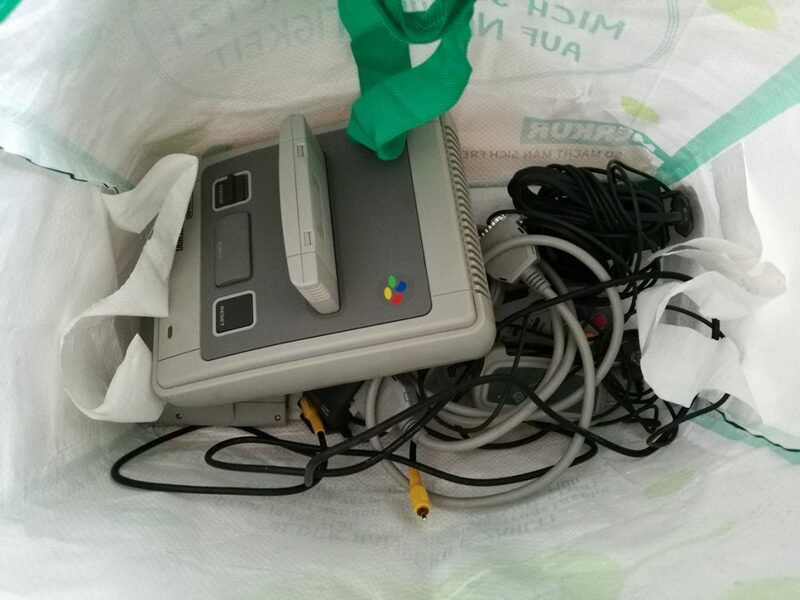 I bought the SNES from a local flea market. 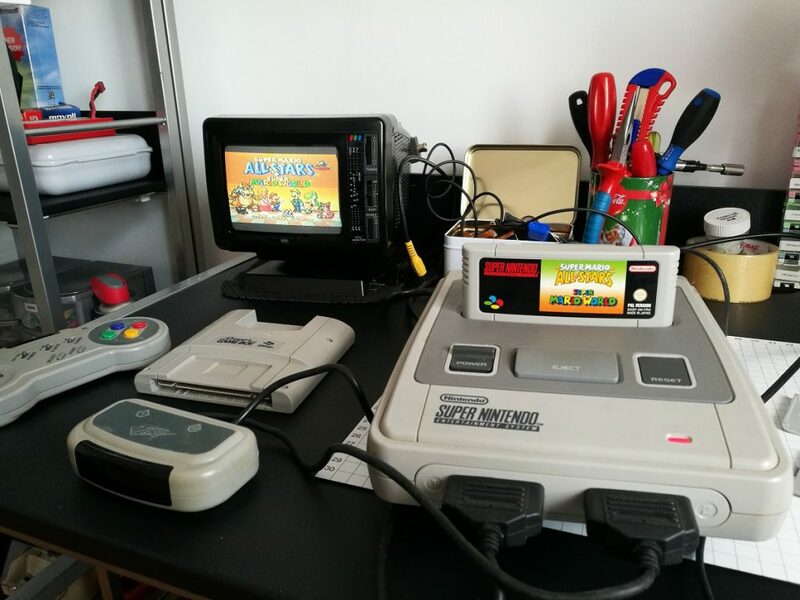 It came with the Super Mario ALL STARS game a SNES to Gameboy game adapter, DC adapter, coaxial cable, 2 IRDA controllers + IR tx/rx. As you can see no yellowing of the plastic is present. clearly it did not receive a lot of sunlight over the years. 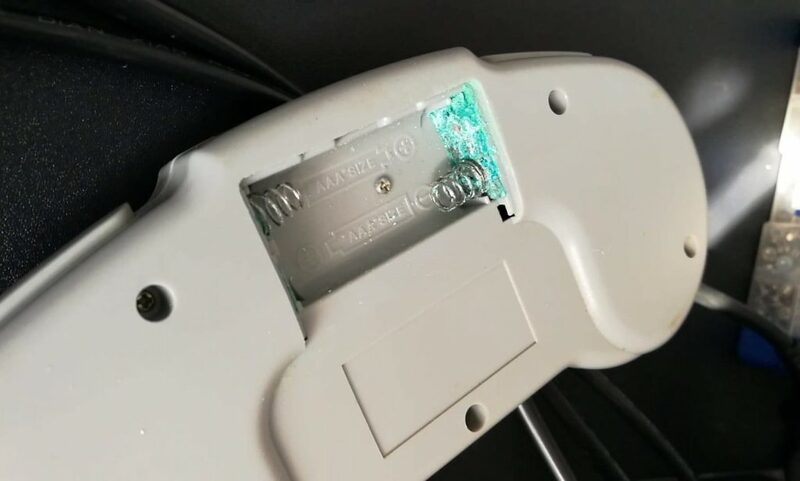 The main unit was an easy clean but the controllers were damaged by the leaking batteries left inside. 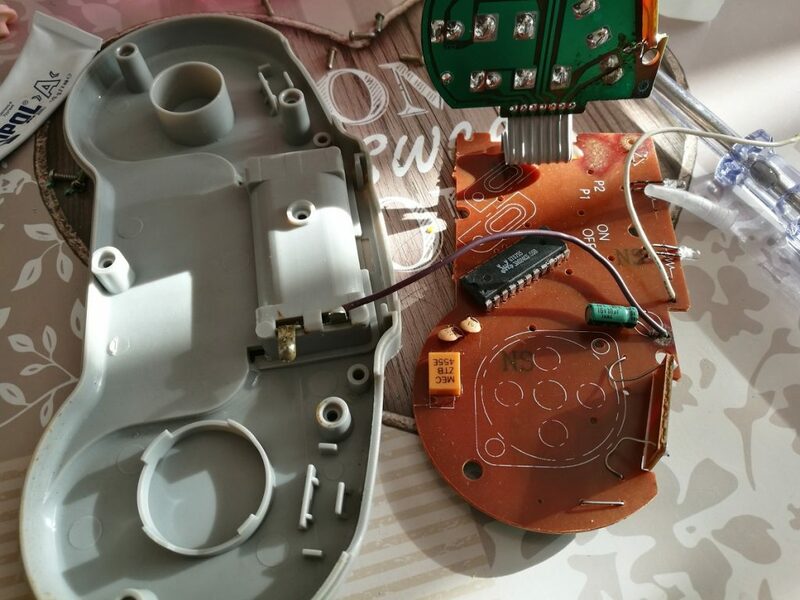 I had to take apart the controllers and strip away all plastic so I can put everything in vinegar to wipe off that residue and re-soldered new wires as the old ones were damaged by the acid.